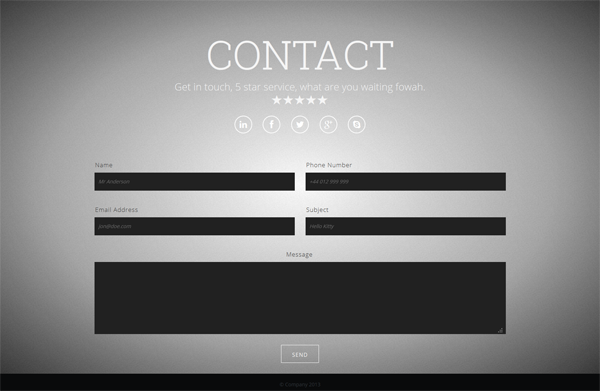 Black Dahlia is a responsive one page template. Perfect for individuals or agencies looking to showcase their work. It is minimal, clean, gorgeous typography, subtle gradients, slope elements and includes intelligent features. A filterable portfolio, video background, deep linking, and working contact form. We also have good documentation to achieve your desired look. This template is built on bootstrap, so is rock solid. Compatible with IE9+ , Opera, Firefox, Chrome and Safari. 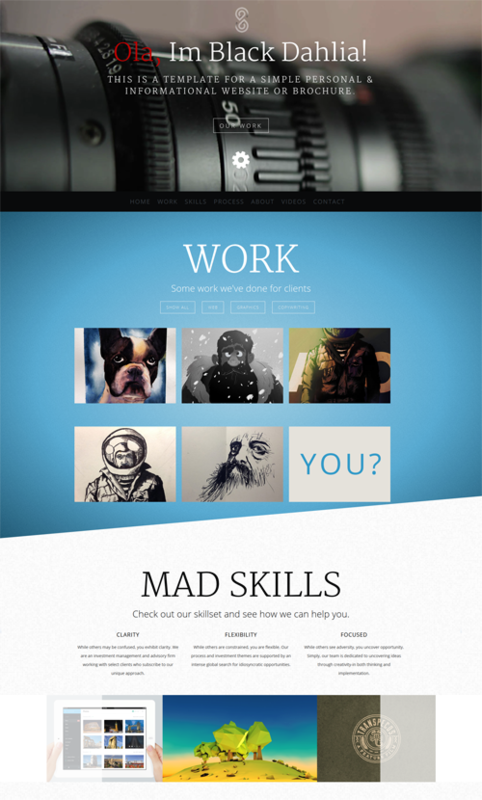 This theme will showcase your work and WOW your potential clients. If you like it, please RATE it. Thank you.